Following the discussion in Iwata Asks: Wii U: Miiverse: The Producers, this is the second discussion covering Miiverse. Thank you for coming. Okay, let’s start with self-introductions, including what you worked on for Miiverse. Yuzawa-san, would you start? All right. I’m Yuzawa from the Network Business Department. For Miiverse, I mainly worked on system design related to the server, but I also co-ordinated with Hatena1.1. Hatena Co., Ltd: A company responsible for developing a variety of Japan-based Internet services. Founded in 2001, its corporate headquarters is located in Kyoto. I’m Kato, also from the Network Business Department. I helped develop the necessary libraries for communicating between Miiverse and games running on Wii U with a development company called Denyusha2.2. Denyusha Co., Ltd.: A game development company based in Kyoto. 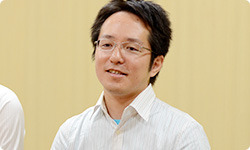 Past works include developing software for the portable gaming system Pokémon Mini, working as a development partner with Nintendo on Nintendo Zone and “Demae Channel” (a Wii Channel only available in Japan) and the Nintendo Letter Box application available via Nintendo eShop on Nintendo 3DS. Established 2002. Hello. I’m Kurisu from Hatena. I was involved as a director on the Hatena side. Pleased to meet you. Hello. I’m Motoyama from Hatena. I mainly worked on UI3 design for Miiverse. Thanks for having me.3. UI (user interface): This refers to the content shown on displays like windows, menus and other elements that help users interact with and operate a computer. Nice to meet you. Today, I would like to ask you about how you felt as Miiverse came together. Firstly, could you tell me your initial impression of Miiverse? Sure. Before I joined Nintendo, I had been involved in starting up a number of web services, so when I heard about Miiverse, I raised my hand to volunteer to work on it. You must have thought, “Finally, something in my field!” (laughs) How about you, Kato-san? 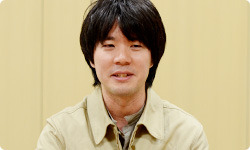 I first heard about Miiverse not as staff, but when (Kiyoshi) Mizuki-san4 suddenly introduced it, saying, “We’re going to do an empathy network.” It hadn’t been decided yet who was going to work on it, so the place was abuzz. (laughs) But when I heard that, I thought it sounded great.4. 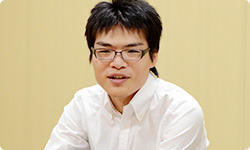 Kiyoshi Mizuki: Network Business Department. A producer of Miiverse. In addition to appearing in the session of Iwata Asks with the producers of Miiverse for Wii U, he has appeared in past sessions on Walk with Me! for Nintendo DS and Nintendo 3DS Pre-installed Software. What first caught your attention? We’ve had services in which customers posted material before – like Flipnote Studio5 and the Mii Contest Channel6 – but Miiverse is a new network service in the console from the start, which I thought was great. I got approached just when I was thinking, “I want to do that!”5. Flipnote Studio: Software pre-installed on Nintendo DSi and Nintendo DSi XL systems for drawing and writing notes with the stylus. Multiple notes can be played together to create a flipbook-style animation. By connecting to the Internet, users can share their Flipnotes with others.6. Mii Contest Channel: A Wii Channel where users may post their Mii characters for others to see or import Mii characters from others. Users may also submit Mii characters to Contests based on different themes and challenges or judge the creations of others. You must have been emitting a vibe that said, “Let me work on this!” (laughs) How about you Kurisu-san? Well, I heard about Miiverse from (Junya) Kondo-san7. When I heard that you could connect to games and post screenshots and messages, I knew I wanted to do it.Also, having worked on the world release of Flipnote Hatena8 as an engineering director, I began working on something else immediately afterward and never got to see people from all over the world making submissions. But this time, service will start first from overseas9, so I can’t wait.7. Junya Kondo: President and CEO, Hatena Co., Ltd. 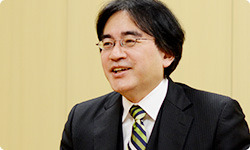 In addition to appearing in the session of Iwata Asks with the producers of Miiverse for Wii U, he appeared in the session on Flipnote Studio Creation for Nintendo DSi.8. Flipnote Hatena: A website accessible by computer or Nintendo DSi Browser. It allows users to share and enjoy Flipnotes created with Flipnote Studio.9. 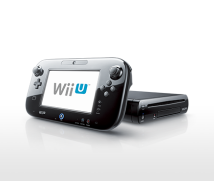 Service will start overseas: Wii U is scheduled for release in North America on November 18, 2012, in Europe on November 30, 2012, and in Japan on December 8, 2012. Until then, I’d been involved in design for the Hatena Bookmark10 service on PC and smartphones. So to be honest, when I first heard about it, I wasn’t sure I was right for it since I had never designed for a gaming console. But I thought it would be valuable as a new work experience, so I came on board.10. Hatena Bookmark: A service that allows users to manage their favourite websites online, see what sites others are using, and search for information on the Internet. At the very least, it seems that you each thought it looked interesting, but since it was your first time working together to make a core service for an as-yet unreleased platform, I would imagine that your first task was figuring out how to unify your conceptions of it. Yuzawa-san and Kurisu-san, how did the two of you work that out? Well, when you develop a regular website, usually the web browsers that the site appears on already exist, right? But this time, even the browser itself was still under development. So, for the moment, we set aside what would be possible to do and discussed what kind of functions we wanted to give to customers. How did you proceed with that? Yuzawa-san and Mizuki-san thought up the basic idea, we discussed it at regular meetings, mulled it over using groupware11, and made decisions.11. Groupware: Also known as “collaborative software”, groupware utilises computer networks within an organisation to communicate information among users. One merit was that Hatena and Nintendo are located close to each other. We’re both in Kyoto-city, so we can visit each other in 20 minutes. Yes. We were sure to make use of that. 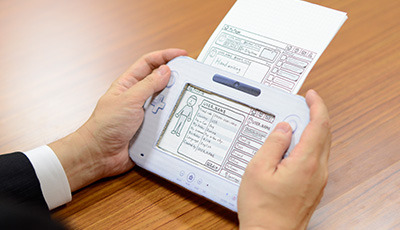 And when the Wii U GamePad controller still hadn’t come together, we had Motoyama-san make a mock-up (model) so we could check how it would feel in your hands. I actually brought that today. I’m sorry it’s such a shabby thing. Yes. 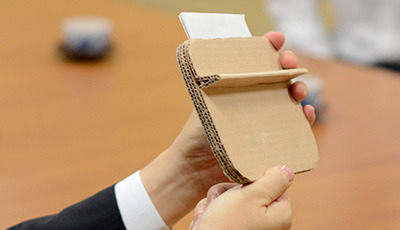 The screen has a lid and you can insert pieces of paper in the top to change the display. We wouldn’t know how it felt unless we could actually hold it, but since we didn’t have one, the only thing to do was make one. In the middle of the night, I cut pieces of cardboard and glued them together. It holds differently than a tablet, and the screen size isn’t like that of an iPad or smartphone. When Nintendo changed the design along the way12, I bet you thought “What are you doing? !” (laughs)12. 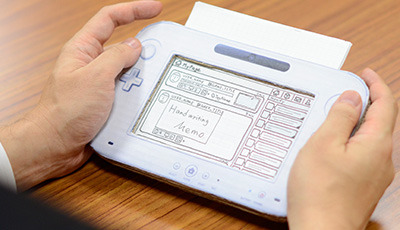 Nintendo changed the design along the way: Please refer to the Iwata Asks interview on the Wii U GamePad for details on the design of the Wii U GamePad. Yeah. (laughs) But having a mock-up like this that you could hold helped us get a better idea of what was being made. There was a team that helped us customise the browser specifically for Miiverse, and thanks to them, we now have a browser that’s distinctively made for a gaming console. You can post screenshots, handwritten illustrations and text messages. In the end I think it turned into a browser that can do things that ordinary browsers would have a hard time doing.